Is Net Neutrality bad for the US? If our internet regulation - or lack of regulation - has been so great, then why does the U.S. lag behind so many countries around the world in cost, speed, and choice? Here in the US, the free market has left us with monopolies that aren't interested in a highly competitive market or in providing end users with the best speeds possible. 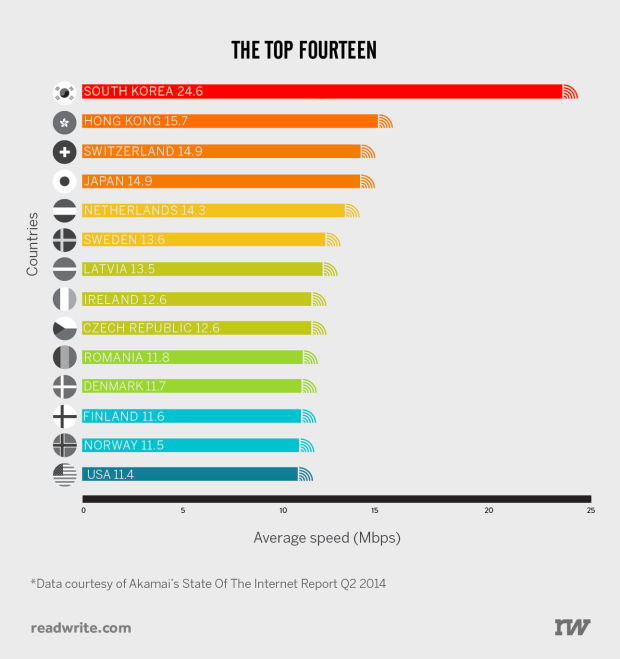 In fact, the US ranks 30th out of 33 countries for the cost of 45 Mbps broadband connections. Our internet costs us so much because consumers have little choice. 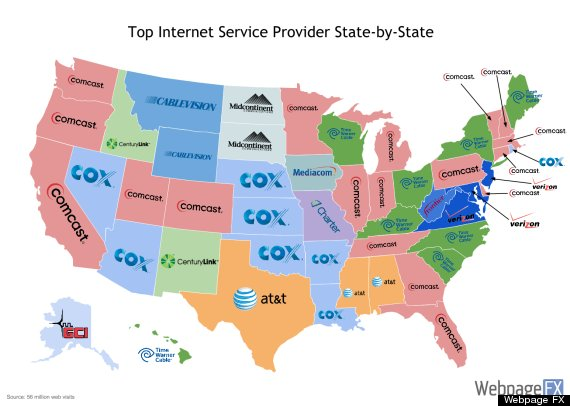 Most markets are dominated by just one or two main providers. So, to all of you out there who think the FCC is doing the wrong thing on net nutrality, let's hear your plan (I’m talking to you, Ajit Pai). 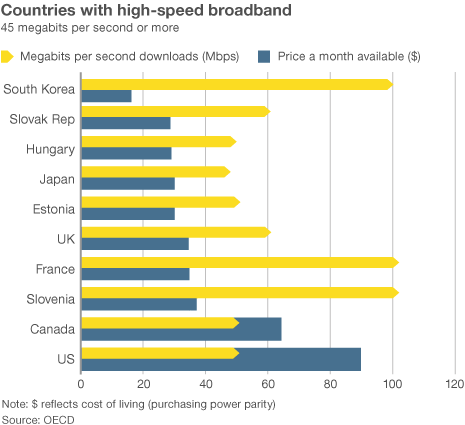 How is the US going to get fast and cheap broadband to our citizens? Just published over on the Up & Running blog about how a book purchase program and book club can be simple, but powerful programs to help boost and encourage your team's education. Check it out and let me know what you think. I just posted a piece about a new business planning methodology called Lean Planning. Lean Planning takes the best of traditional business planning and merges it with the methodologies of 'The Lean Startup' by Eric Reis. It also extends beyond optimizing the startup process to incorporate better methods for managing growing companies. We've been working with Lean Planning principals at Palo Alto Software for a while and I'm curious to see what other people think. Silicon Valley is buzzing about how the funding environment for startups is changing. Sarah Lacy has a good post on it. Fred Wilson provides his own explanation. YCombinator is even shrinking their current class size, although they are blaming it on internal problems, not the larger funding environment. This feels similar to the crash in the early 2000s when companies with no real way to make money were funded with abandon. "Investors are increasingly asking 'What’s the business model?'" Call me old fashioned, but shouldn't every business ask themselves this question? It shouldn't take a savvy silicon valley investor to ask this. Anyone starting a business should be asking this question of themselves. And beyond just asking how you plan on making money, it never hurts to explore a simple budget to see if the business is actually viable. I'm not talking about a 5-year forecast, but a simple model that shows the costs of acquiring and servicing a user and what that user might be willing to pay. This simple back-of-the-napkin exercise is fundamental to entrepreneurship and critical for anyone considering starting a business. I know, some of us entrepreneurs want to change the world with our ideas. But the fact is, being an entrepreneur is about creating a business, and businesses need to make money. I don't think it gets much simpler. What are the 7 critical components to a perfect elevator pitch? Check out my latest post on Bplans.com to find out. The first election that I voted in was the 1992 presidential election. I remember walking off campus in Princeton, NJ, to the local elementary school to cast my ballot. I was 18 and excited to participate in our great American democracy. 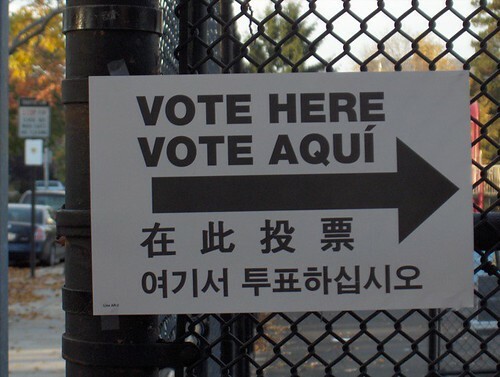 Stepping into the voting booth with my ballot, I was suddenly faced with not just one decision, but a multitude of options that I was not prepared for. I knew who I was voting for in the presidential race, but just wasn't familiar with everything else on the ballot. Leaving options blank on the ballot seemed like such a waste, but I didn't want to accidentally vote for something or someone that I didn't believe in. Frankly, this first voting experience was a bit disappointing. I was glad that I voted in the presidential election, but felt like a let myself down, not coming into the voting booth a bit more prepared. It was like showing up to take the SAT without a #2 pencil and having never seen a practice test before. I was completely un-prepared. Having learnt my lesson the first time, I tried to be better prepared in future elections. My then girlfriend (and now wife) would study the election handbooks that came in the mail and put together "cheat sheets" to take into voting booths in New Jersey, and then California. But, this process still felt broken. Lots of preparation was required, and inevitably, we would forget to study a particular issue and not know how to vote in the few silent, private minutes behind the voting curtain. And then we moved to Oregon in 2002 and experienced a fundamentally better way to vote. For those that don't know, Oregon citizens ALL vote by mail. There are no polling places, no lines to wait in. Your ballot is mailed to your home a few weeks before the election and you can send it in (or drop it off) anytime between when you receive it and election day. My first experience voting in Oregon was after dinner one night at my in-laws house. We cleared the dinner table, all got out our ballots, pulled together some research material and went through, vote by vote, issue by issue. Sitting around the table, we could discuss the issues. Debate the pros and cons of candidates, and make truly informed decisions. There was no time pressure. No excuse for not knowing about an issue. And, most importantly, no questions left blank. This type of voting is so far superior to anything else out there - except maybe internet voting, if that ever comes. I like being able to vote, knowing that my ballot was filled out intelligently. It's just such a better experience than entering a voting booth. And, as an added benefit, vote-by-mail seems to improve voter participation rates. Oregon ranked in the top 5 in the 2010 midterm election. But, regardless of how you vote or who you vote for, just get out there today and vote. As a citizen of the US, it's a privilege and a fundamental responsibility. Quoted from Marco Arment's excellent post about Microsoft's Surface.